*The 35th Anniversary of the Ghostbusters is upon us! Let's celebrate with four spooktacular weekly comics featuring different Ghostbuster teams in all-new standalone adventures! 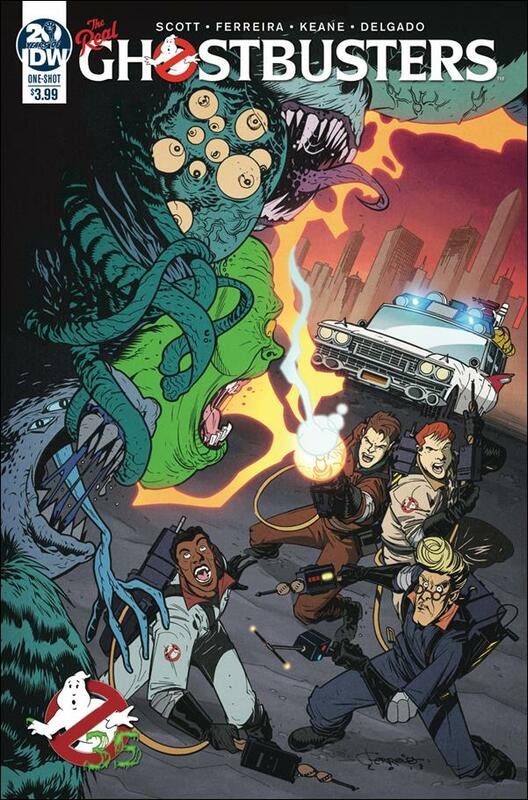 THE REAL GHOSTBUSTERS keep losing business to a flashy new rival ghost-catching company: SPOOKS AWAY! They seem to have better gear, better threads... better everything! In fact, Spooks Away seems determined to ruin the RGB. But there's something far more sinister than a hostile takeover going on here, and it's up to Ray Stantz to go undercover to find out who-or what-is behind Spooks Away's sudden rise to supernatural elimination superstardom.